We all love to shop and thanks to the advances in technology, online retail has made it possible for us to purchase round the clock, no matter where we are. e-Commerce has changed the conventional business model and transformed the way we procure what we need. With online shopping, it has also become necessary for’e-tailers’ to have a centralized platform to better manage all their customers and transactions. As the volume of online sales grows, the management of an online store becomes more and more complex for businesses and entrepreneurs alike. Actually creating an e-store may not be that difficult, however, surviving competition and making a profit is where many fail. This is where the automation of shopping functions helps. While there are number of e-Commerce software solutions that exist in the market today, the purpose of this post is provide an overview of one such solution – BigCommerce (BC) and the array of advantages it offers that help your business ‘sell more’. 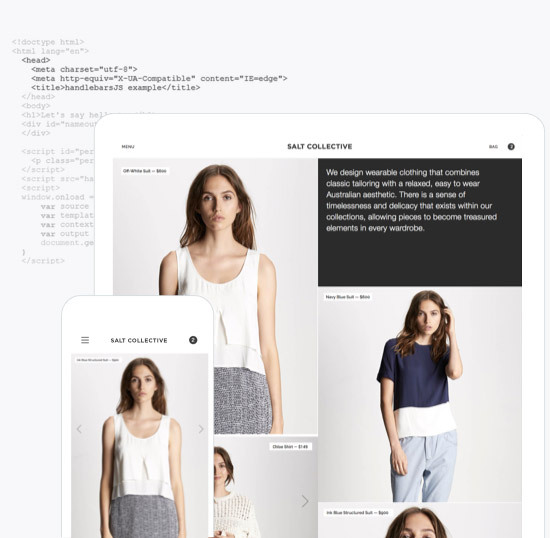 BigCommerce Next (BCN): This is an upgrade to the original shopping functionality. BCN is what sets the BigCommerce platform apart from their competitors – Shopify and Volusion. Some of the important features introduced with BCN: integration with Google Trusted Stores, blogging framework, responsive themes that work across devices, improved BigCommerce App store and a Traffic Engine feature that helps the completion of various marketing tasks. Ease of Use: This is a very easy to use platform. With it’s clear user interface, you can simplify daily store tasks. This shows that the company understands not everyone who manages the e-store is an expert in technology, so it has made BigCommerce effortless for anyone to use. It has an intuitive UI that makes store-setup a painless process. Some of the user-friendly functions on offer are: automated returns, ability to view complete inventory, payment gateway integration, study bestsellers, store statistics etc. Variety of Design Templates: A vast number of free and premium (paid) store-front themes are offered in BigCommerce. These themes/templates can be customized using HTML or CSS editors. It is also possible to download and work on them in offline mode. Collaborating with a qualified Bigcommerce design and solution development company can help you setup a customized online store by incorporating design templates that are best suited to your unique business needs. Large App Store: BigCommerce includes a large number of features that are already integrated in the shopping cart. However, it is also possible to use third party apps to add more functions to your online store. Through these apps, as a store-owner you can increase your marketing activities, track advertising, improve customer service, and incorporate a point of sale system (POS) in your brick-and-mortar store. Quick & Secure transactions: BigCommerce is a hosted shopping cart so hosting is a part of every plan. As a store-owner, you are not required to buy a separate hosting account. A faster website provides many benefits such as repeat customers, increased sales and a better search engine ranking. BigCommerce University (BCU): This is a great resource for amateur players in the e-Commerce market. BCU is very useful for those developing an online store for the first time. There are a number of resources available within BCU that are free for all and are included in all plans. Store-owners can view short videos on creating an e-Commerce store, attracting buyers and building customer loyalty. In summary, the BigCommerce benefits discussed above makes it a winner in the e-Commerce shopping cart platform market. It is flexible, scalable, simple to use, and provides many ‘out of the box’ benefits that make it a top choice for retailers looking to set up an online store for their retail business. As a BigCommerce Design & Solution partner, our experienced development team can help you set up the best e-Commerce solution for your business. Get a Free ConsultationKnow how we can help you to develop best suited solution for your retail business.